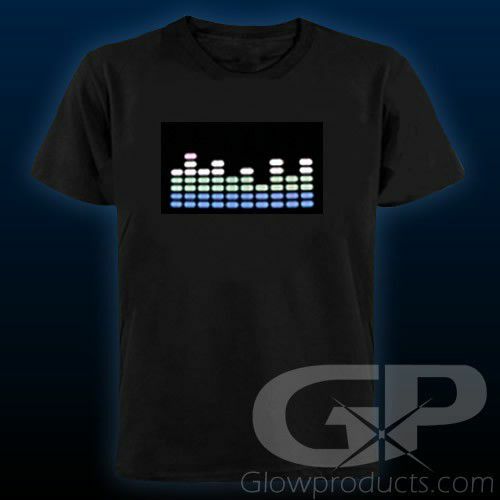 - EQ T-Shirt Lights Up with the Music! 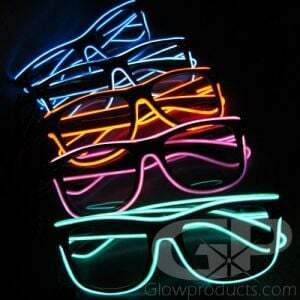 - Bright LED Equalizer Display Moves with the Beat! 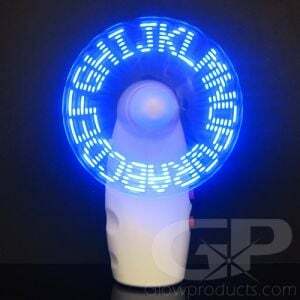 - Comes with Sound Sensitivity Control! - Hidden Pocket for the Battery and Control Pack! Now you can Become The Party wearing the exclusive LED Equalizer T-Shirt. 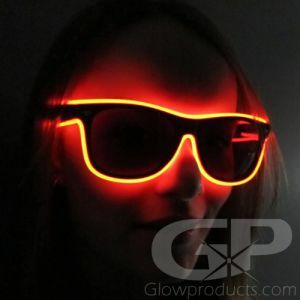 With an Glowing LED Equalizer T-Shirt, you can crank up the tunes and dim down the lights for the ulitmate futuristic t-shirt experience! The EQ Shirt is a must have item for any Party Animal, is super fun at concerts, festivals and dances and make great gifts too! The equalizer shirt displays the audio vibrations around you as bright vibrant color bars that dance and jump to the music. An attached dial lets you control the sensitivity of the audio sensor so you can properly display your LED equalizer shirt in a loud nightclub or concert. 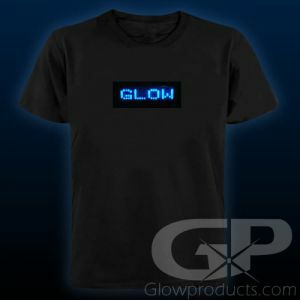 The LED display is powered by four AAA batteries, which are placed in a battery pack attached to the light up t-shirt's inner pocket cleverly hidden in the bottom of the shirt. 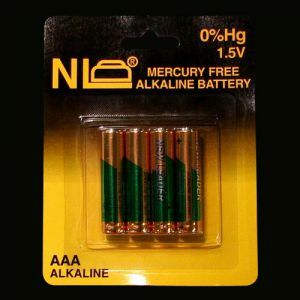 Instructions: Remove the Glow in the Dark EQ T-Shirt from the packaging and locate the battery pack within the shirt. Place 4 AAA batteries into the battery pack and switch the power button to the ON position. Adjust the dial on the battery pack to adjust the audio sensor sensitivity. Place the battery pack into the inner housing pocket.